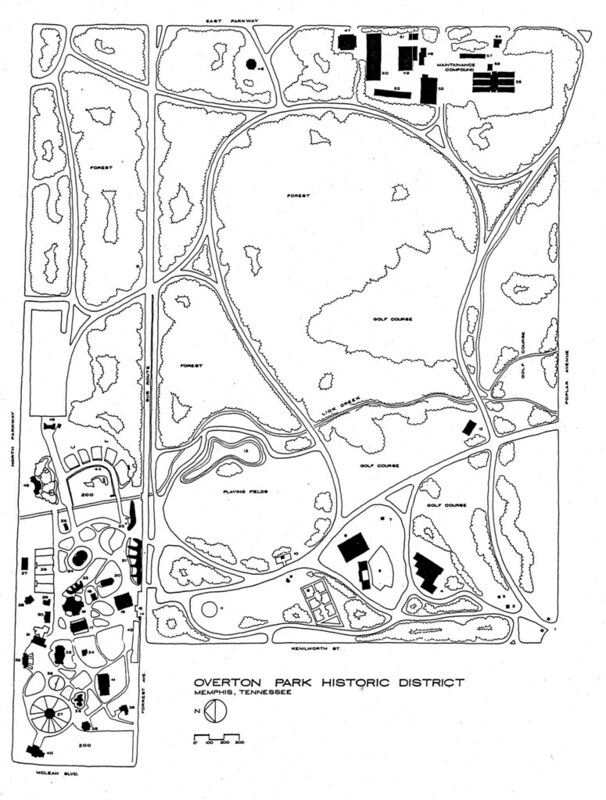 In honor of Sunshine Week, an annual nationwide initiative that is intended to raise awareness of the importance of open government, I thought I would share my tale of woe related to getting my greedy hands on the Memphis Zoo’s Demolition Plan (a.k.a The Construction Permit) for the Teton Trek Exhibit. First of all, the March 5th article Group upset zoo took out 139 trees to build Teton Trek by Cindy Wolff states that the Zoo removed 139 trees. The March 6 Memphis Flyer article Up A Tree repeats this number: "'We did all we could to save trees in that area,' Carter says. 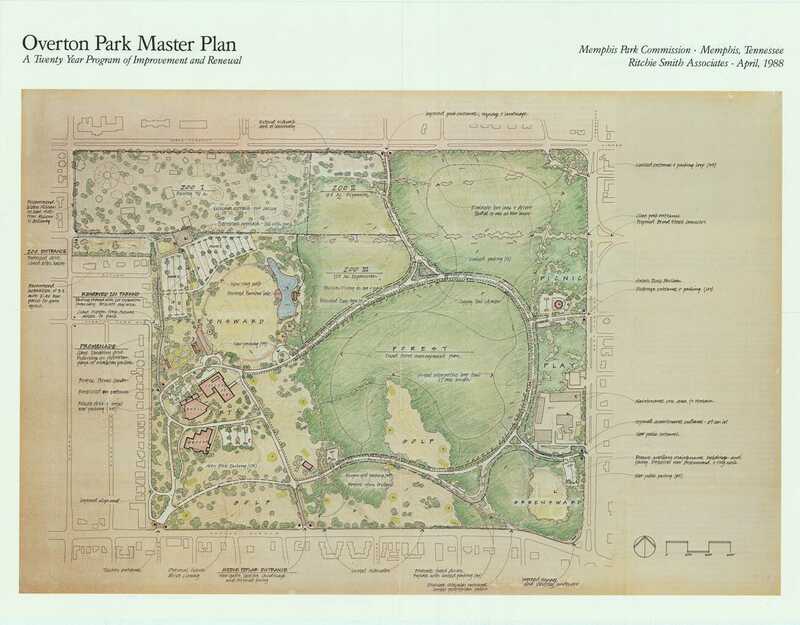 According to him, the zoo removed 139 trees..."
At the bottom of the CA article it listed the tree species that were removed, including white fir, paper bark maple, and Norway spruce -- none of which are native to this area. We thought this was very odd. In addition to wanting to verify the number of the trees removed, we wanted to know their sizes and solve the tree species mystery. Naomi found the construction permit summary and number online. I called OPD (the Office of Planning and Development) to inquire about getting a copy of the full permit, which would include the “Tree Survey” or demolition plan. Don Richardson emailed me to say that he had met with Burk Renner, the OPD staffer in charge of enforcing the Memphis tree ordinance. Burk works at the Mullins Station OPD office, and he told Don that the demolition plan was at the downtown OPD office. Perfect, considering I work downtown. I called Burk to confirm this and to ask who I might speak with downtown, but he was out of the office. So I called OPD’s main number. I lost track of how many people I was shuffled around to, but it was at least five. No one seemed to have any idea what I was talking about. I finally got in touch with Burk who told me to call Don Jones, which I did. Don played a little dumb at first. When I mentioned that Burk told me to call him, he came around a bit. However, he did not want to make me a copy of the demolition plan as I requested, since it was 20+ oversized pages at $5/page. After calling Burk, Don called me back and suggested that I come in and look at what he had in order to decide which pages I wanted copies of. Outside it was starting to snow, so I was able to leave work a little early and go to City Hall. When I got to Don’s office, he was standing by the receptionist with an accordion file in his hand. He led me to a conference room and handed me a large wad of folded maps. 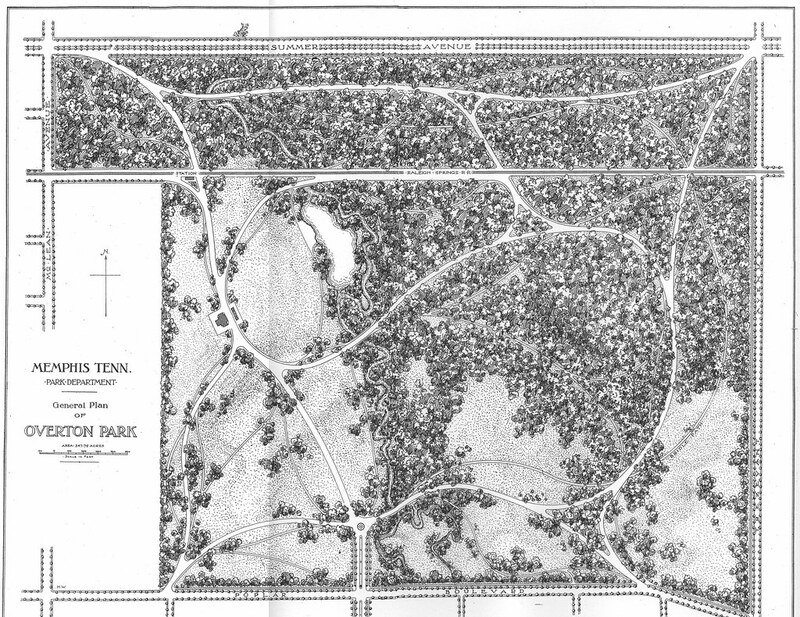 It only took me about two seconds to determine that what I was looking at was a landscape plan for the finished exhibit, not a demolition plan. “Is this what you shared with the Commercial Appeal?” I asked. Well, that solves the mystery as to why the CA's species removed list was so funky. I spoke very slowly and once again tried to explain to Don what I was looking for. He excused himself and called Burk. While he was gone, I peeked into the folder to see what else was there. The only other document was the landscape plan for the Northwest Passage exhibit. Don reported that Burk was out of the office, most likely due to the snow and the fast-approaching 5 o’clock hour. So Don gave me his card, wrote Burk’s number on it, and promised to follow up with me on the following Monday. Don still knew nothing by Monday, so I started calling Burk myself. After a series of confusing and confrontational phone calls, his party line soon became, “I don’t have a demolition plan.” The reason? Limited storage space -- which somehow caused it to get lost. He then told me that he would contact the construction company and request an electronic copy, then email it to me. This would eliminate the need for me to drive all the way out to Shelby Farms. He said he’d have it in a couple of days —- at the most. Three days later when I called to check on the electronic copy, Burk said he still didn’t have it. “You can come look at the hard copy though,” he said. The hard copy? The hard copy that has been lost/non-existent for the past two weeks? Sure, I’ll come look at it. "Will I be able to get a copy?" I asked. When he got to 36, I said, "How many pages is the part that actually lists the trees that were removed?" A couple of hours later, he actually did. "No, there's no summary page," he said. 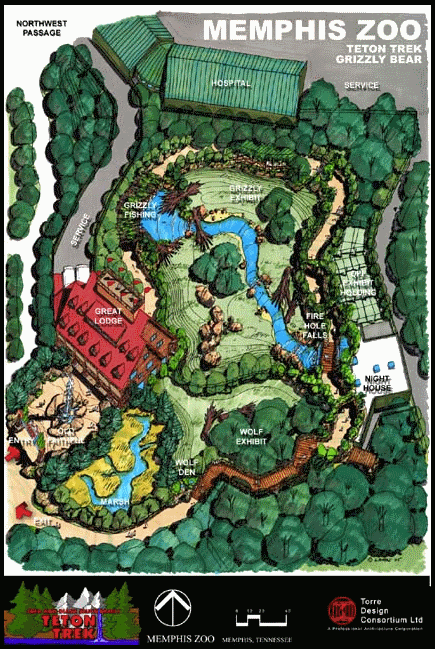 Chuck Brady, the Memphis Zoo's president was quoted by Cindy Wolff as saying, "One-third of the trees removed were 6 inches or less in diameter.... Four of the largest trees remain." Call me crazy, but wouldn't this, along with that 139 total count that Brian Carter later repeated, lead you to believe that there was a summary of some sort? The zoo's plan submitted to the Memphis and Shelby County Office of Planning and Development was categorized as "office/industrial," which allowed the zoo to remove 90 percent of the trees on the interior of the site and 18 percent in the perimeter, said Burk Renner with construction code enforcement. So I asked Burk, "If there's no summary, then how did you get the total count to determine whether the Zoo was within the 90% and the 18% requirement?" "I counted them myself," he said. 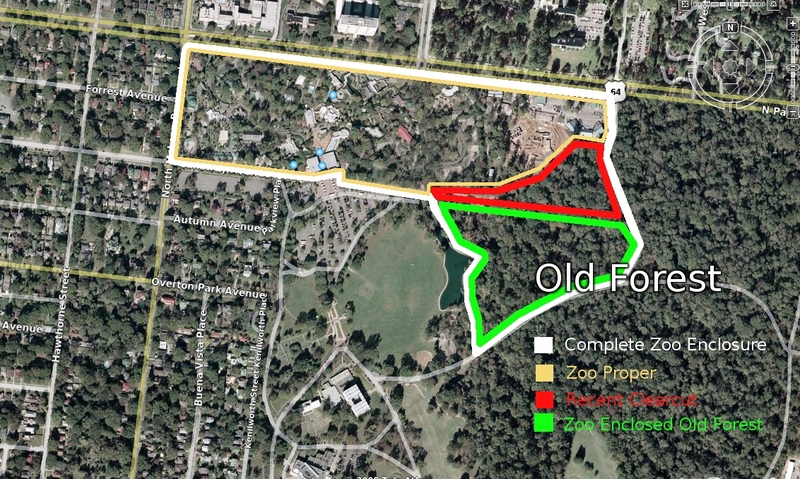 By my count the zoo planned to remove 125 of 163 trees for a 76.7% removal rate of trees 10” in diameter or larger. This is in line with the 80% maximum permitted by the Tree Preservation Ordinance for private office/institutional development. Okay, Burk. Is it an 80% or 90% threshold? Is it 125 or 139 trees removed? And what's with the 10" diameter? If they are less than 10" they don't even go into the count? Then why is Chuck Brady saying, "One-third of the trees removed were 6 inches or less in diameter"? I'd like to suggest that a summary page become a required part of demolition plans involving trees. You know, then everyone could get their story straight. But in this case, there's no incentive for the Memphis Zoo -- or Burk, for that matter -- to worry themselves over numbers and percentages. Why? 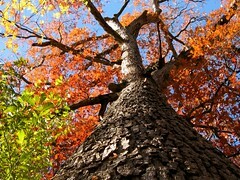 Because, according to Burk, the City isn't required to meet the tree ordinance. The city can do whatever it wants. 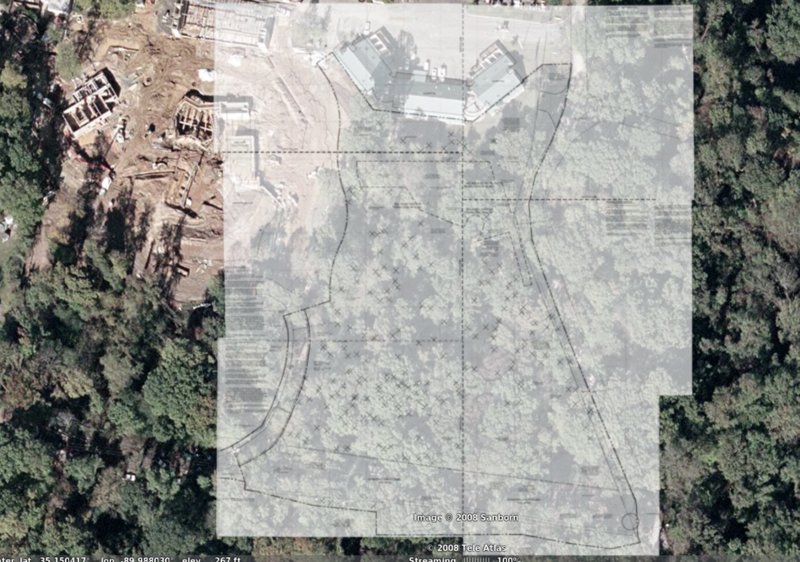 That whole demolition plan with all the tree species identified and labeled? Just a formality. Ah, the beauty of the public/private partnership. See the demolition documents yourself! Right there at the waaaaaaaaaaaaay bottom of our sidebar! What would they do if you brought a camera and started taking snapshots of the documents? Would they jump in front of the camera or just wonder what you're doing with that gizmo? Is $5 a copy discouragement or obsolete pre-digital pricing? I guess size does matter...Those 10-inch trees, growing in the understory of an old growth forest, are probably older than Chuck Brady. * "I eventually had to go down to the cellar..."
"the lights had probably gone"
"well you found the notice didnt you?" "Yes. The plans were on display in the bottom of a locked filing cabinet, stuck in a disused lavatory with a sign on the door saying 'Beware of the Leopard"